Repairing your credit score after a bankruptcy takes both time and sincere effort on your part. You might come across hoards of quick-fix methods for improving your credit score that is most likely to backfire. It is therefore essential for you to understand that the right credit repair strategies. Comprise methods that will build your score over time. And also help you learn ways of managing your finances more responsibly. The first and foremost step towards repairing your credit score is reviewing your credit report. Identify the pitfalls that led you to such financial instability. Your credit report is like your progress report card. It carries all information about the financial mistakes that you have been doing in the past. You can obtain your free copy from any one of the three credit rating bureaus. Analyze your credit report and determine the negative items that are influencing your score the most. Also, look for any errors or inaccurate entries of late or missed payments and get them fixed by the concerned authorities. Look for any incorrect information or erroneous entries. These include payments that have been incorrectly reported. Also any accounts that do not belong to you. Look for any past due accounts that have been charged off, or already sent to collections. 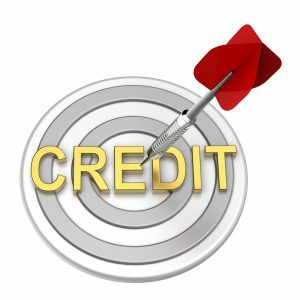 Identify all maxed out accounts that have already hit the credit limit. Reduce the amount of debt that you owe. While it is easier said than done, getting rid of your debt will help you manage your finances better and also procure fresh credit to rebuild your credit rating thereafter. Many people find that filing for bankruptcy in Houston can help with the credit repair process. This is because you eliminate your debts and start fresh.